Your assignment will be in full bloom with the Kate Spade New York® Love Is All Around Pencil Pouch. Classic pencil case in a synthetic upper with white flower design throughout. "Love is All Around" across the front. Floating spade along the back. Accessories included: 2 pencils, note pad, tape measure, and book tabs. 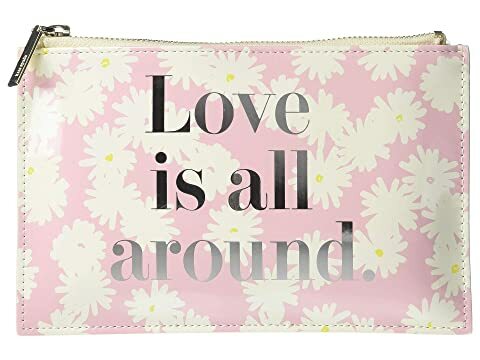 We can't currently find any similar items for the Love Is All Around Pencil Pouch by Kate Spade New York. Sorry!